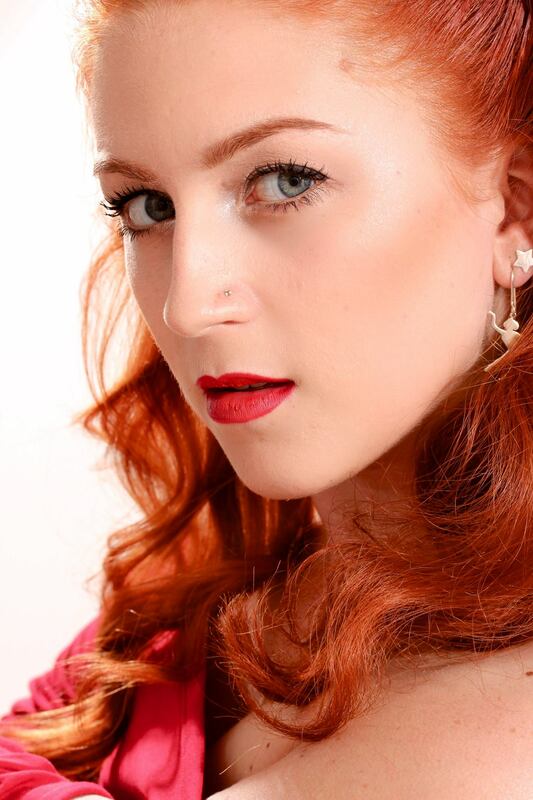 Sarah is originally from Sheffield and began training in ballet, jazz and tap at the age of 3. 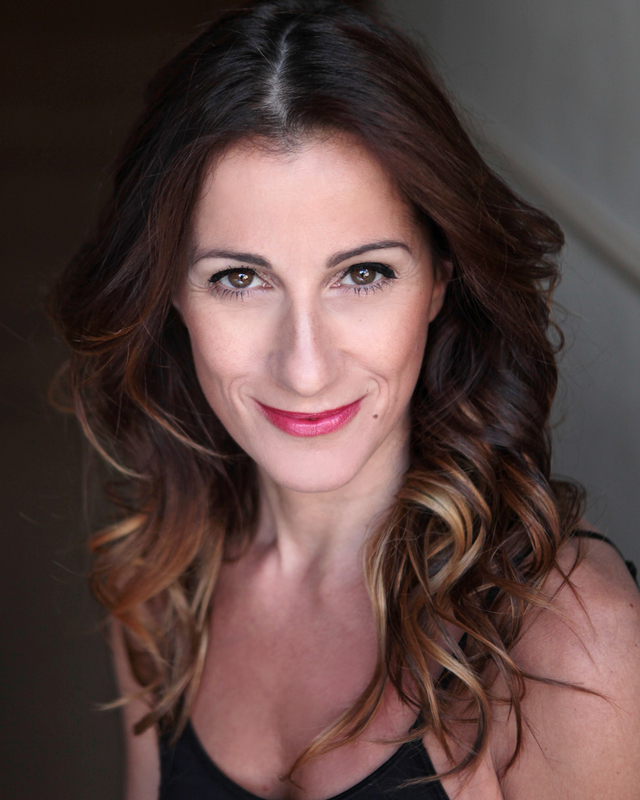 She moved to London in 2005 to attend The Italia Conti Academy of Theatre Arts, where she graduated with a National Diploma in Professional Musical Theatre in 2008. Following this she furthered her dance training in Los Angeles where she trained extensively at The Millennium Dance Complex and Debbie Reynolds Studios for the summers of 2009, 2010 and 2011. It was here that she fell in love with Hip Hop and first discovered Waacking. In 2009 Sarah’s waacking persona ‘Kleio’ was born when she was invited to become an original member of The Waacktitioners, the first waacking crew in the UK. She has performed with them at; Serious About Street Dance, Move It, Live Vibe, Dancers Delight, UK Hip Hop Championships, B Supreme, Stylefest House Dance UK and Lovebox Festival to name a few. Kleio also loves to battle and won and reached the finals at various battle’s here on home soil and abroad. More recently Sarah gained her Level 2 Certificate in Fitness Instructing (ETM) and Level 2 in Teaching Exercise, Movement and Dance to Adults and is enjoying bringing more fitness knowledge to her classes. 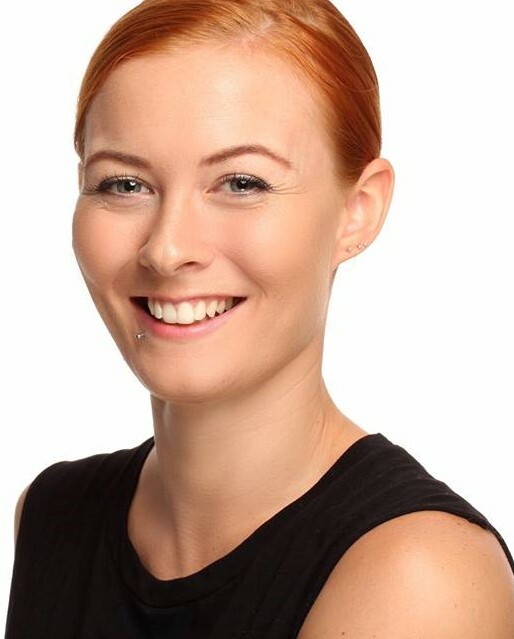 Sarah absolutely loves to teach and currently teaches Hip Hop, Jazz, Zumba, Ballet, RaggaTONE, Tap and Kleiography here at Studio K. She is also a keen choreographer and often creates shows and routines for performances. You will get addicted to her incredibly contagious bubbly personality so come and check out one of her classes! Sarah holds current First Aid and DBS certificates and is a member of REPs (Register of Exercise Professionals). Ginger aka ‘Mademoiselle Ginger’ started dancing at the age of 7 when she moved from France to London studying Ballet, Tap, Modern and later on Street Dance. In 2009 she discovered Waacking and became a founding member of The Waacktitioners (the first ever U.K Waacking Crew). Through Waacking, Ginger fell in love with teaching and performing all over again as well as discovering the battle scene which has led her to compete in Europe and the U.S earning a notable collection of titles along her way. Ginger is also the creator and producer of hugely successful dance battle and party night Waack Date. Ginger holds a current DBS certificate. 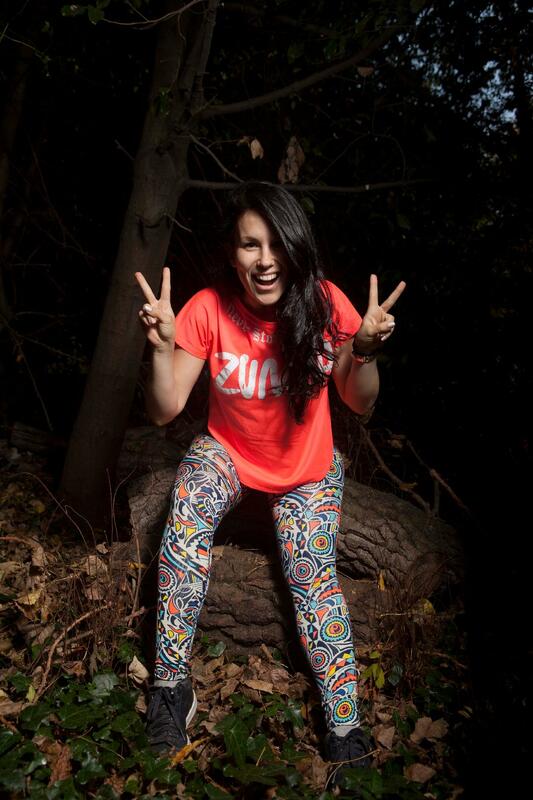 Originally from Italy, Paola started dancing when she was 6 years old. She started her training in Ballroom and Boogie Woogie / Rock’n’Roll styles; doing competitions all around Italy. At the age of 14, she decided to concentrate in Jazz and Ballet at the main Dance School in her home town, Bologna. In her 20’s she moved to Rome to start her career as a professional dancer, where she worked for some of the best Italian Choreographers (such as Luca Tommassini, Mauro Mosconi, Manolo Casalino, Franco Miseria, Bill Goodson) and Italian celebrities ( the likes of Claudio Baglioni, Enrico Montesano, Luisa Corna, Gigi Sabani, Senit, amongst many others). Later Paola made the decision to further her career and expand her horizon by moving to London where she worked  as a dancer for Gabrielle, Kayne West, Ashely Wallen, Hege Okstad and many more. As a Choreographer, she has choreographed for corporate events, private parties, short films, TV shows and live concerts. Her main strength is her versatility and technical dancer/choreography skills. Areas of expertise include: Street Dance, Technical and lyrical Jazz, Latin  & Salsa, House, 50’s style or Tap. 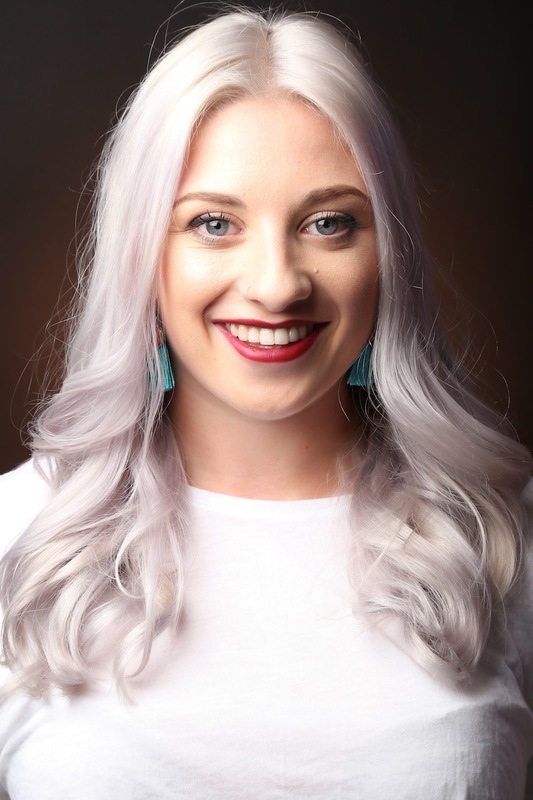 Lottie has been teaching dance and sport to children and adults for over 6 years all over the UK and has also had some great opportunities to perform. More recently she completed her Zumba Instructor qualification and has just graduated with a 2:1 BA HONS in Dance Studies. 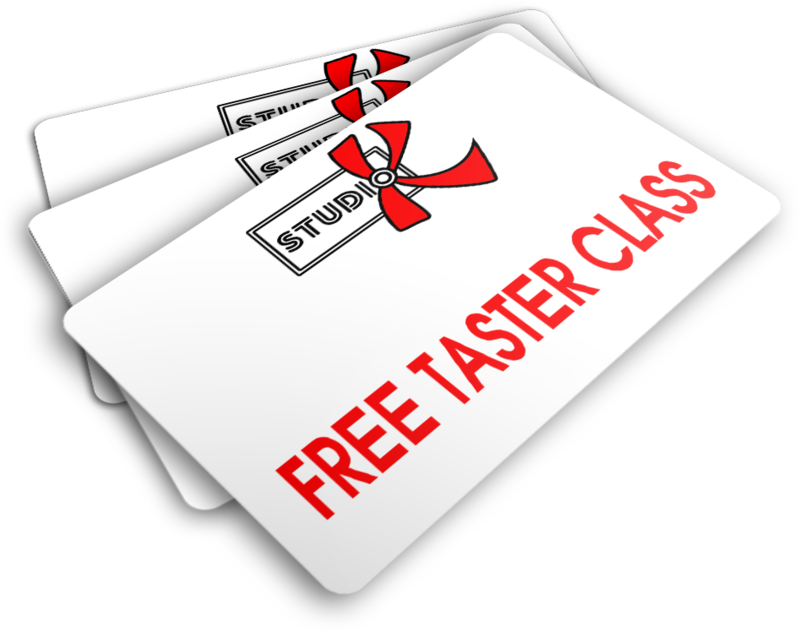 Lottie is excited to be teaching at Studio K and she looks forward to meeting you all. Lottie holds current First Aid and DBS certificates. Kate found Yoga after the stress levels of working as a womenswear buyer caused her continual ill health. Before long she left the fashion world and committed herself to understanding more about the Art of Yoga and the amazing tools it presented her with to find a more happy and content way of life. And then came the desire to share this knowledge with others. Kate classes are light hearted fun and creative, teaching you to listen to your body and leave all expectations at the door! Though they may vary in strength or intensity her classes maintain a strong focus on the importance of the breath through pranayama practices so that you will leave with an overall sense of inner well being and calm. Fern Crosbie started dancing at the age of 15, learning street dance styles such as hip hop, locking, popping, house and breaking. At age 18 she successfully auditioned for Urban Strides Senior crew and by age 20 performed with Urban Strides on Young Voices arena tour at venues such as the 02 arena. Since then she has studied at the University of East London graduating with a 1st class BA Hons degree in Dance: Urban Practise. She is also a member of Myself UK dance where she has performed at Breakin’ Convention, Dancers Delight and Ladies of Hip Hop Festival in New York. Fern holds a current DBS certificate and a RSL level 4 diploma in dance teaching. Teodora is 26 years old and originally from Bulgaria. 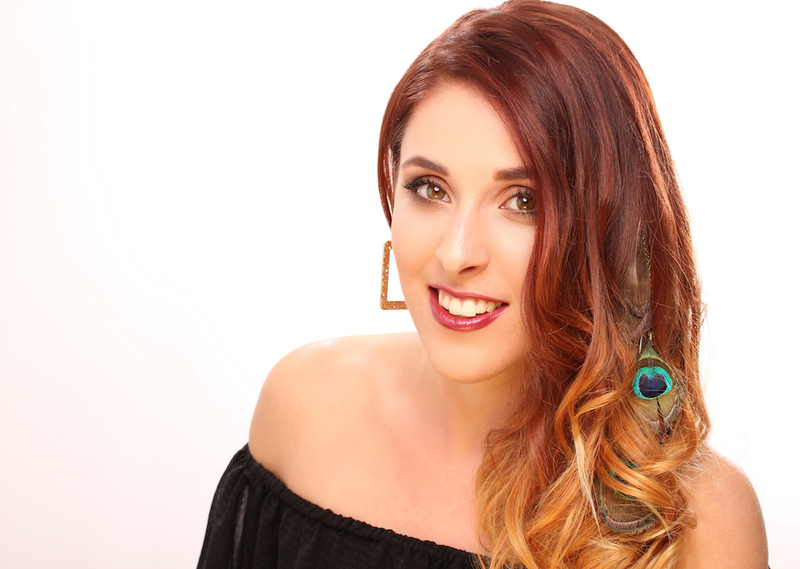 Teodora moved to London seven years ago in 2011 when she also became involved with Zumba Fitness®, making her first steps into the Dance Fitness industry. Throughout her carrier as a Zumba Fitness and Dance Fitness Group Exercise Instructor Teodora has actively participated in socials event and gatherings, community classes for mixed age and ability fitness participants and other fitness related activities, charities, concerts, fitness events home and abroad, Acton and Notting Hill Carnivals and well as private and corporate events. In 2017 Teodora joined the STRONG by Zumba team and was fortunate enough to commence teaching straight away and with a great success. It was the right time to shake things up, build an ever greater fitness, take her participants to the next level and her carrier a step further. Teodora is all about predisposing her participants to express through dance and fitness and enjoy themselves while doing so! She keeps her music choices and choreographies up to date, always trying to challenge you a little more every time. She delivers to inspire, motivate, and build your stamina and confidence! Join her and experience the thrill for yourself. She is excited to be teaching Strong here at Studio K! Yaz has been a member of Studio K since it first opened it’s doors in January 2014. She has always been an active member of the studio (her favourite classes being Hip Hop, RaggaTone & Pole) and was previously part of the Studio K crew K-Lectic. Being a Psychology graduate along with a self confessed fitness addict, Yaz recently decided to take her passion for fitness and exercise one step further and complete her Level 2 (gym) & Level 3 personal training qualifications, so that she can really understand how to combine physical, as well as psychological elements to help make a difference to someone’s wellbeing. 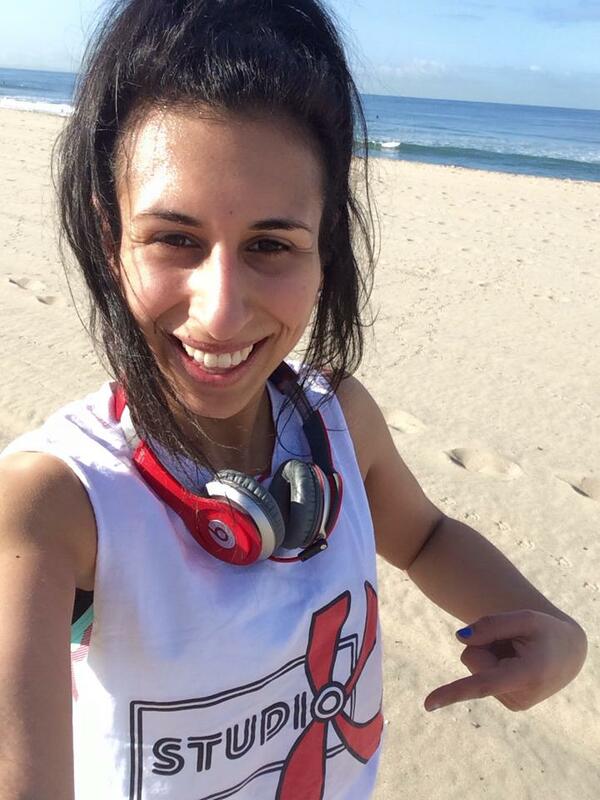 As well as the fitness side, Yaz is also hugely passionate about all things nutrition related. Previously working in a corporate role, she understands first hand how this type of environment can easily lead to unhealthy lifestyle choices/decisions. Having recently left this job, she now wants to help people understand that no matter how busy you are and no matter what type of job you have, it is still possible to lead a balanced, healthy lifestyle to make you feel the best you can inside and out. If you attend one of Yaz’s classes, you can expect a motivating, energetic fitness class taught by someone who is truly passionate about helping people achieve their goals, whilst making sure everyone is having a lot of fun a long the way. She is also a big believer in the strong not skinny ethos, so expect to also be introduced to the world of weights, but in a very friendly environment and without having to set foot in a gym! She loves talking about all things fitness and nutrition related, so if you see her around the studio and have any questions about either of those topics, then just grab her, or drop her a message and she is always happy to have a chat! As well as holding her Level 2&3 personal training qualifications, Yaz is also qualified to teach circuits, outdoor training, indoor cycling and holds a qualification in exercise referral (all qualifications are REPs accredited). She is also first aid trained. Harriet started dancing at the age of 3 completing exams in Tap, Modern and Ballet till the age of 15 when she began to focus more on Street Dance styles. 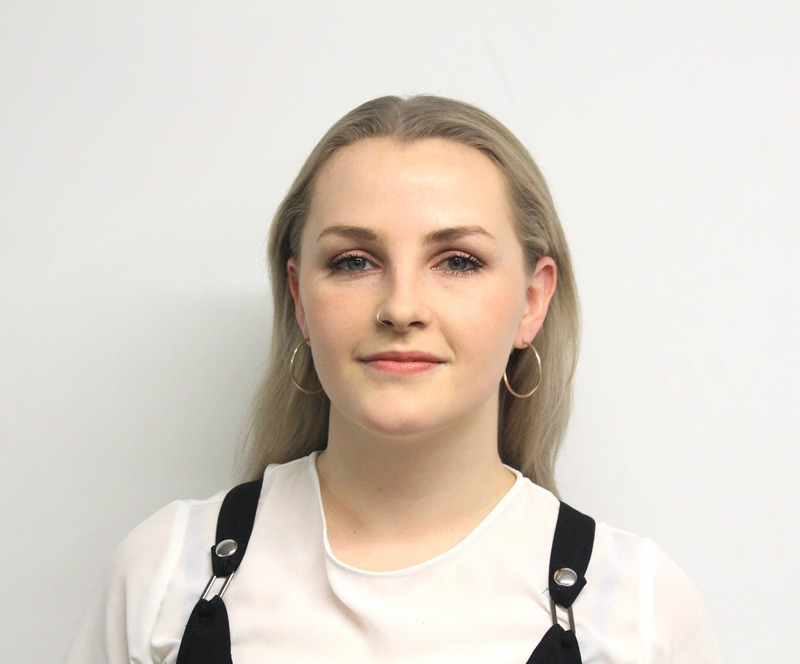 Harriet then moved to London in 2015 to study Dance: Urban Practice at the University of London where she studied styles such as Locking, Hip Hop, Dancehall, Contemporary, House, Popping and Breaking in depth, she went on to gain a first class degree in Dance:Urban Practice. Alongside studying Harriet is also an active member of an all female Hip Hop Company called Myself UK Dance which has provided her with performance opportunities at events such as: Move IT, LiveVibe and Sub Urban Dance Festival in Copenhagen. Chloe originally from Plymouth, started gymnastics at the age of 7 and competed for the South West of England in various competitions across the country. After being crowned Devon Champion for 2 years running, she eventually retired at age 17. Still wanting to remain in the Gymnastics world, she moved into coaching and judging gymnastics and started teaching cheerleading. 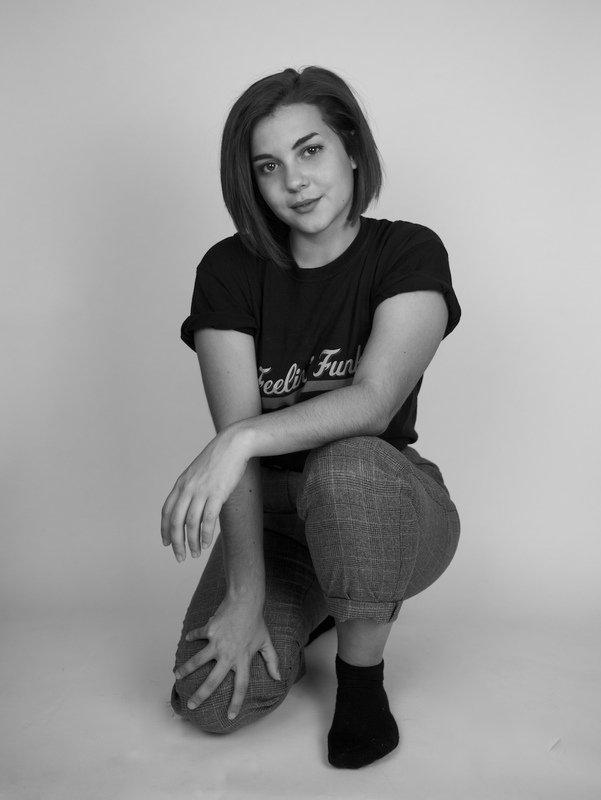 Joining a youth contemporary company is where Chloe began her dance career, and further found a street dance crew who she competed with for 2 years. At age 19 she went on to Roehampton University to study contemporary dance. Here she studied Contact improvisation, Martha Graham, Limon, Release and choreography. Whilst there, she performed in many extracurricular shows and competed with the University Cheerleading team. After receiving her 1st class honours degree, Chloe worked for a children’s multi activity camp for 2 years helping to engage all children in physical activity whilst ensuring they had fun. She then went travelling around South East Asia before heading back to Studio K to start teaching. You can usually find Chloe either on reception, dancing with K-Lectic, or upside down! She is looking forward to passing on her knowledge and meeting everyone in her classes. Chloe holds a current Paediatric First Aid and DBS certificate. Coming from a dance background Yaz began dancing in contemporary and ballet as a teenager. However, she quickly swapped her ballet shoes for trainers when she joined her university’s street dance squad and has been training in various styles such as dancehall, waacking and hip hop ever since. She has been part of Studio K for over 5 years and is one of the original members of the in house crew ‘K-Lectic’ who perform, compete and hold events around the UK. Through the studio she has passed her UDO level 1 dance teacher exam and has been a dance and fitness teacher at the studio over the past three years. Alongside dancing Yaz also developed a passion for yoga. She tried Buti Yoga for the first time in 2014 and immediately knew that this combination of yoga, dance and cardio was her thing! The following year she decided to take her level one and two Buti Instructor Qualification and began to teach. Buti means “a cure that has been hidden or kept secret”. This definition in reflected in the class, in the release of tension and movement in areas that we don’t often get to explore. Yaz has now been teaching Buti for 3 years and is still just as passionate about it! Her classes are empowering and energetic and focus on toning up, getting down and shaking it out! Having explored different styles of Dance since a young age, Delice has found comfort in being able to express through movement – dancing since she was just 4years old dance. Her yoga journey started several years ago, when she was recommended by physiotherapy to regain mobility and build strength and since then, has found meditation and other modalities to help deepen her personal practice. 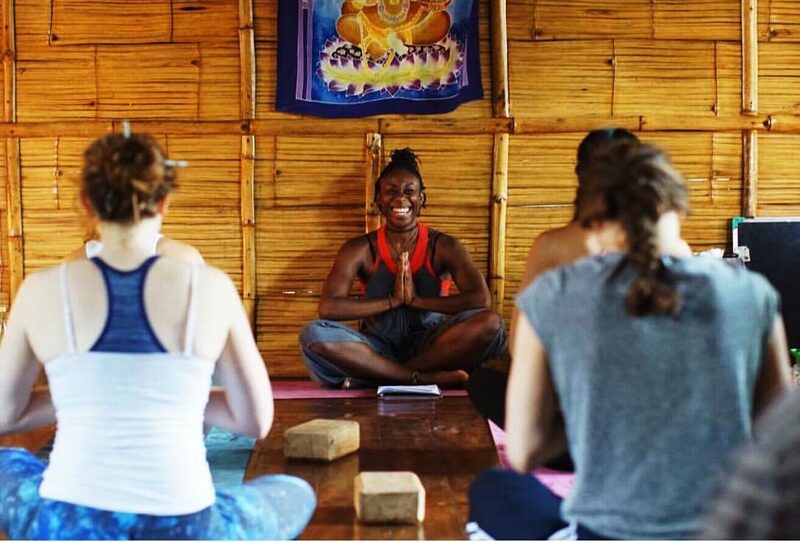 After rehabilitation and completing a Bachelor Degree in Dance and Social Science, she found herself wanting to combine her passion for both dance and yoga: which led to completing a 200hr Teacher Training in Ecuador and undergoing a Masters degree in Movement Psychotherapy.